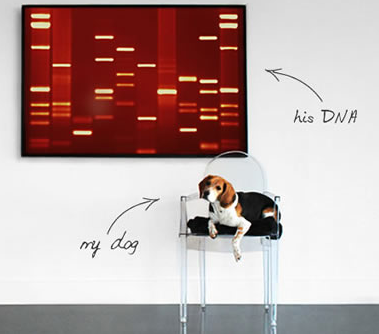 DNA Pet Portraits: Create Wall Art from Your Pet’s DNA! 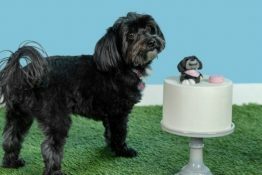 Looking for unique wall art or an original gift for a pet parent? 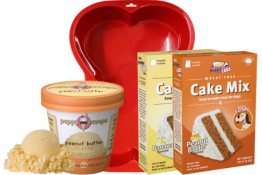 Here’s a very cool idea from DNA11! 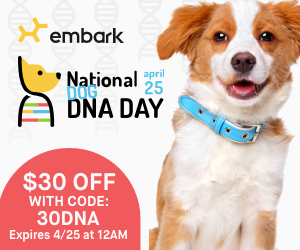 Create wall art from your pet’s DNA! 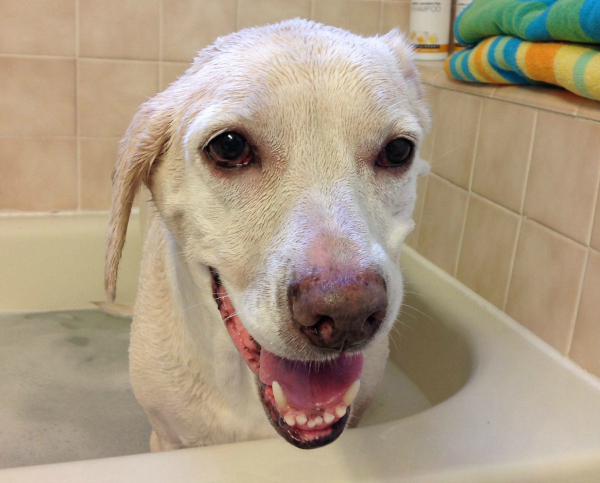 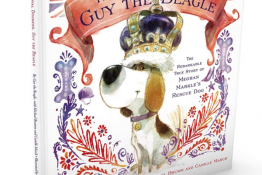 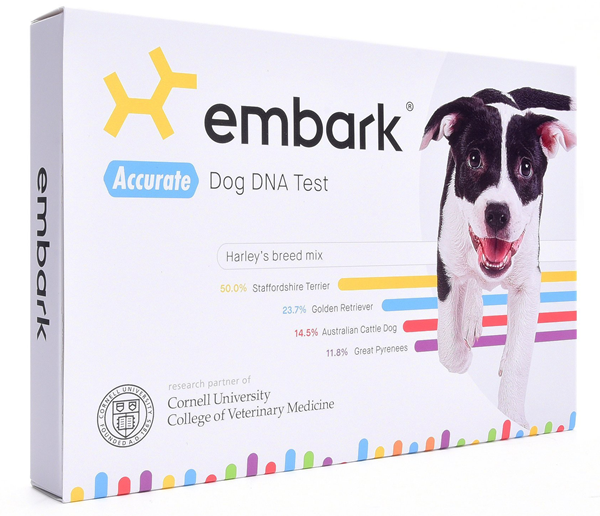 Transform a DNA sample from your favorite pet and turn it into a modern meaningful masterpiece. 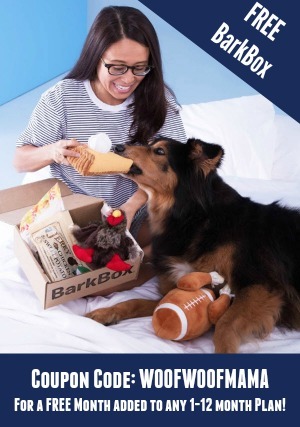 Go to the secure e-store pick the size and color of your art piece and order your kit. 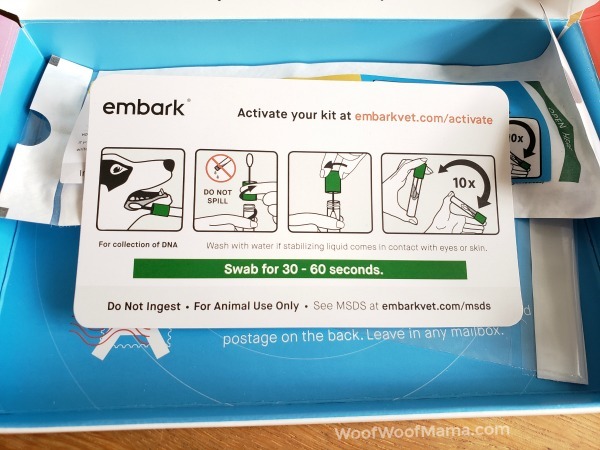 A few days later your kit will arrive, including instructions and painless swab-based collection kit. 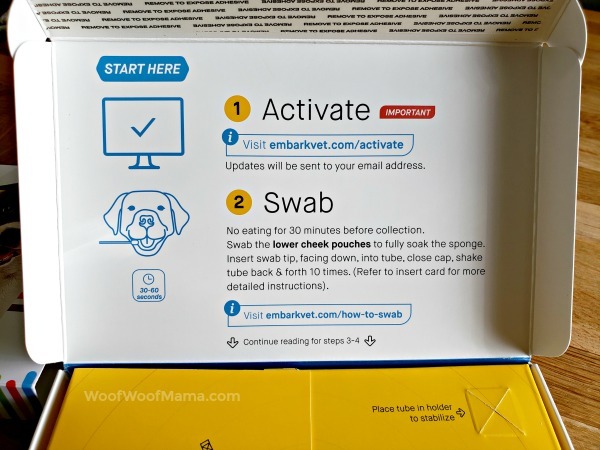 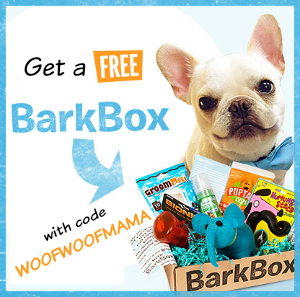 Simply swab the inside of your pet’s mouth and send the sample back to the lab. 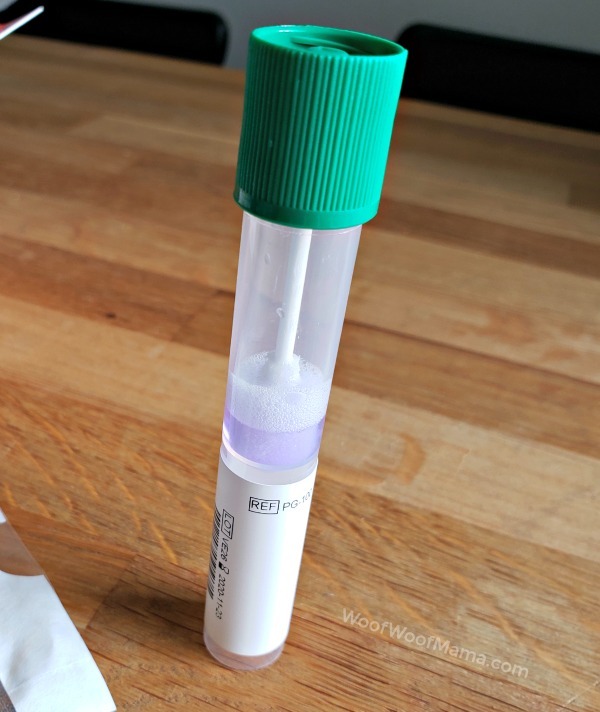 The DNA sample is processed and sequenced and the image is custom created according to the color and size you specified when you placed your order. 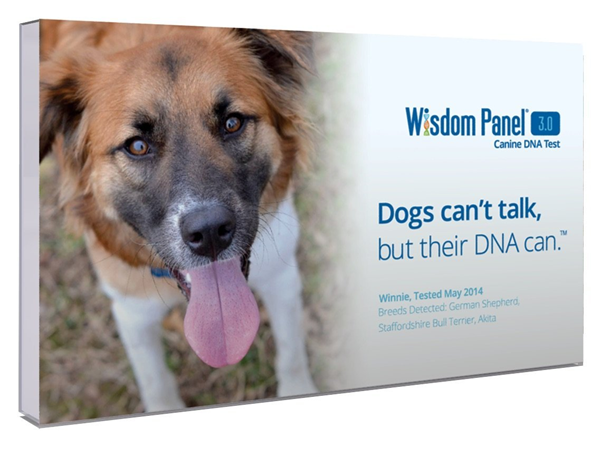 Within 4 weeks of receiving your pet’s DNA sample, your finished, custom pet portrait is delivered to your door!